Thinking of selling your precious metal online, then you have come to the right place. Cash for Gold provides this handy guide, so you don’t have to play unnecessary ‘Sell Gold’ games. Our experts will provide you with full information to make the decision that is right for you. Gold is defined as the most precious metal. The traditional gold jewelry is made from 9 or 18 Karat gold. A 24 Karat gold is soft and not to be used as jewellery. A pure 24 Karat gold is sold in gold bullion to mix with other metals and make use in electronics. Thus, a 24 Karat gold is 100% pure, whereas 18 Karat gold is 75% pure and 25% hardening elements; such as copper, zinc or silver. The lowest one is 9 Karat gold is 37.5% pure, 62.5% hardening elements. Currently, there are hundreds of websites you can go visit to sell gold jewelry; not all of them are reliable and honest. But Here at Cash for gold, we welcome our customers to trust us with our reputation. We provide honesty, reliability, and security. Also, we provide the internet’s online privacy to sell gold safely, and with security. Our collections, deliveries, and quotes are 100% FREE; in addition, you have any access to any of our outlets to discuss the details in person. At Cash for gold, we can offer you extremely competitive online prices for your gold necklace. Also, for an instant quote for selling your gold jewelry, simply ping us with some photographs; we will send you a quote which you can never refuse on. You can fully rely on us; we use 100% secure, trusted online payment options. 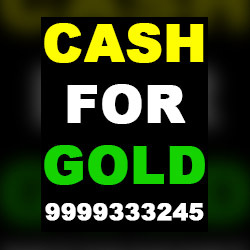 Visit us at https://cashforgolddelhincr.com for more information.